Michael J. Dowling has served as president and CEO of Great Neck, N.Y.-based Northwell Health, formerly North Shore-LIJ Health System, since 2002. Mr. Dowling is a revered leader, renowned for his work ethic and steadfast commitment to diversity, innovation and learning. 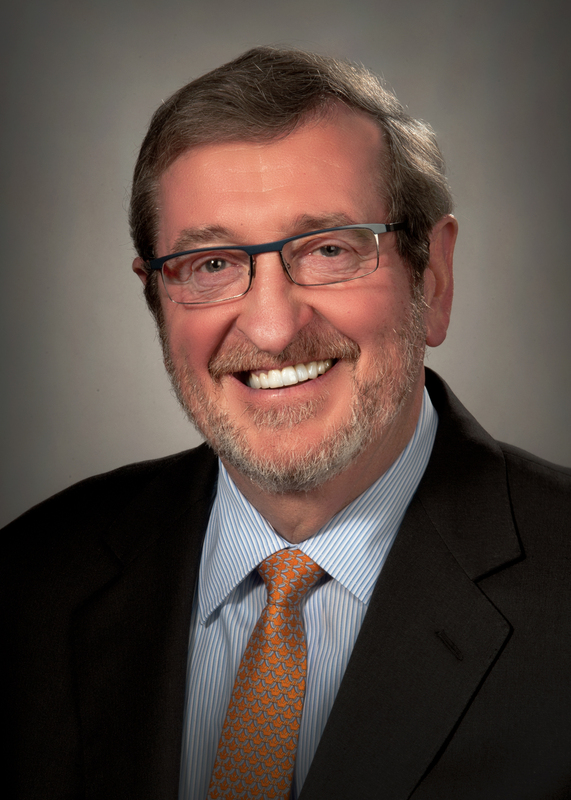 At the helm of Northwell Health, Mr. Dowling oversees the largest integrated healthcare system in New YorkState and the 14th largest system in the U.S., with 6,600 hospital and long-term care beds and a workforce of more than 61,000 employees. The health system's 21 hospitals, four skilled nursing facilities and more than 450 ambulatory and physician practices care for 1.6 million patients annually. Mr. Dowling's journey to his current role is far from conventional. He was born in Limerick, Ireland, arriving in the U.S. in the 1960s. Growing up during a period of nationwide poverty in Ireland, Mr. Dowling described his family's home as "an old-fashioned thatched house with mud floors and mud walls, no running water, no heat, no anything," according to The Long Island Wins. He worked briefly in steel factories in England, then moved to New York where he took jobs as a longshoreman, construction worker, plumber and janitor, working seven days a week to support his family and pay for college tuition. Mr. Dowling holds an undergraduate degree from University College Cork in Ireland and a master's degree from New York City-based FordhamUniversity. Eventually, he went into public service, serving in the New YorkState government for 12 years, including seven years as state director of health, education and human services and deputy secretary to the governor. He also served as commissioner of the New York State Department of Social Services. Mr. Dowling's standing as one of the most highly-regarded health system CEOs is a testament to his perseverance throughout his career. He is a model of hard work, and he never ceases to set new goals and look for ways to improve healthcare delivery. Here, Mr. Dowling took the time to answer our seven questions. Note: Answers have been lightly edited for length and clarity. I think it was my family situation. My mother was deaf and my father suffered terribly from rheumatoid arthritis and, at a relatively young age, was unable to work anymore. I think from that young age I had a strong interest in health and human services. That family circumstance was what got me interested in the field, and it continued to expand over time. Its vibrancy, diversity and innovation. It's alive. There are always different things happening. There is a vast array of opportunities — employment, social and cultural. It is a microcosm of the world. New York City gives people the opportunity to contribute to and access a wonderful cross-fertilization of ideas. You meet people from every conceivable part of the world and every field. It is intellectually very stimulating. I think everybody should spend some time in New York. I would say to reduce the conflicting and over-burdensome array of regulatory demands on healthcare organizations. We are inundated with a plethora of micro-regulations, and that, I think, just makes the business much more complicated than it needs to be. It consumes excess resources and doesn't do enough to improve outcomes for patients. This is not to suggest that I'm against compliance, but the constant development of dozens of regulations on an ongoing basis makes the machinery of progress move much more slowly than it could. In many ways that is probably up to others to decide, but I think I like to embrace new ideas from other places and industries. I think I have developed good relationships with many leaders in all industries, and I would like to think I'm a good outside representative for the organization. By continuously learning. I love to study and read. Especially on the weekends and when I have free time, I love to read books on innovation, leadership and management so I can get new ideas on how people can continually improve. I like to work to revitalize myself — I couldn't just take time off and sit on a beach. I would be bored out of my mind if I were to do that. Give me a good stimulating book and leave me alone and I get revitalized very quickly. A book I read recently is To Hell and Back: Europe 1914-1949 by Ian Kershaw. It's a phenomenal book that opens your mind and gives you a very, very educated perspective about the totality of what happened during that period of Europe's history. It helps you educate yourself on what's going on today, because we are today what history created in the past. One of the best pieces of advice I've received was when I was very young. I grew up in an environment that was not privileged, to say the least. My mother said more than once, "Do not ever allow your circumstances to limit your potential." Your current situation should not limit what you're capable of doing in the future. Aim high, take risks, be confident, don't ever say something can't be done. And if you fail, pick yourself up and go on again. I grew up in an impoverished situation and that was the attitude in our household. It's something I like to implore to people. The word "can't" should not be in your vocabulary. What do you consider your greatest achievement at North Shore-LIJ/Northwell Health so far? I think our greatest achievement is the product of multiple players. When you're part of a team, success isn't the result of the actions of one person. I would have to say I've been very happy with being part of the creation of a culture of innovation, creativity and teamwork. We are an organization that looks forward on how to improve and advance — not constantly looking in the rearview mirror. I also believe that, irrespective of how successful one is, you should never be completely comfortable or happy, but always raising the bar. This culture and mindset is what builds long-term sustainability in the organization and allows you to make a difference.